If the police officer files a report stating that you are at fault for a motorcycle accident, you could face an uphill battle recovering compensation for your injuries. However, all is not lost. Our team of attorneys uses accident reconstruction experts and experienced investigators who can determine exactly what happened during the accident. Their efforts can ensure your family can receive financial compensation for your damages. Rosenfeld Injury Lawyers LLC represents victims of motorcycle accidents and other types of professional negligence. Our law firm has successfully resolved cases for our clients who were injured by the negligent actions of others. Our attorneys are available to answer any legal questions about how to receive the monetary compensation you deserve. Should you have additional questions, we invite you to contact our office for a free review of your legal rights. I Might Have Been at Fault. Can I Still Receive Benefits? Yes, even if you were at fault for causing the vehicle accident, you can still receive insurance benefits to pay for your hospital expenses, medical bills, and other damages. Being at fault for another's injuries does not exempt you from getting financial support. It is important to understand that proving liability is not just the police officer's job, but also the responsibility of your personal injury attorney. Your lawyer can make a strong argument with the claims adjuster to support how you saw the accident unfold. Law enforcement does not always arrive on the scene of the accident before the vehicles have been moved to the side of the road. When police officers come, they must document what happened in an official report. Sometimes, when officers do not arrive at the crash scene, the official report might be filled out at the police station where they have limited access to resources to describe exactly how the event happened. The report is an official document, but it contains written information based on the recollections of witnesses and parties involved in the crash. While there is evidence concerning liability within the document, it is typically based on the police officer's opinion as to how the information was relayed to them or their observations of evidence presented at the scene. The officer may measure the length of one or both vehicle's skid marks, photograph evidence of debris and vehicle damage, and collect other data that is available before they leave. The police officer may decide to issue one, both, or all drivers with a traffic ticket before leaving the scene if it has been determined that a traffic violation has occurred. While the document could be an essential component of evidence that you could present to the claim’s adjuster, insurance company, or jury at a trial, the information it contains is not always accurate. It is important to remember that the insurance company is in business to generate profits for their shareholders first, followed by protecting their policyholders with coverage. Typically, the insurance carrier will send a claims adjuster before ever obtaining a copy of the police report. You may receive a quick settlement offer from the adjuster or insurance company to resolve your case before you have time to speak with a personal injury attorney specialized in motorcycle accident cases. It is typically wise to wait and speak with a lawyer first before signing anything or agreeing to settle the case out of court. 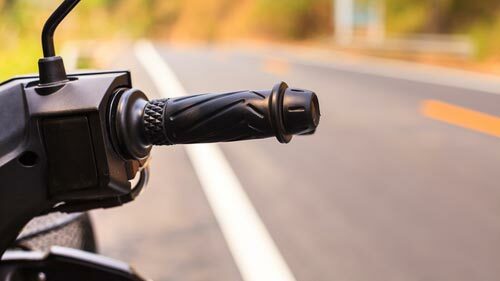 If you were injured in a motorcycle accident due to other driver's actions, you should consult with an attorney, especially in cases where the police report lists the motorcyclist as at fault. The police report may not have all the facts, and an experienced motorcycle accident attorney can investigate the crash further and help uncover the truth of what happened. While most police reports are accurate in detailing how an incident occurred, occasionally investigating officers make errors or simply do not have access to the relevant information. Missing information can happen when a motorcyclist is injured and is being treated by paramedics, and the investigating officer is not able to speak to the biker to get his side of how an incident occurred. After you read the police report, you may be able to identify one or more mistakes that can be legally fixed. You may be able to identify factual errors including incorrect insurance information or vehicle registration numbers. The report may contain the wrong addresses or miss certain witnesses that were involved in the accident or witnessed the event. However, fixing a disputed fact, like who might be at fault for causing the accident, is significantly more challenging. Often, the police are unwilling to amend a report due to an objection. However, you can add an addendum to the accident report by including your statement of what happened or ask eyewitnesses who did not provide an official account to add their statement. An attorney working on your behalf can help you speak with the police to amend the official report, file a lawsuit, or take your case to trial. Every driver and motorcycle rider must obey vehicle code (state traffic laws) to ensure safety when sharing the roadway with others. An attorney working on your behalf can use these codes to support your legal argument that the other driver was responsible for causing the accident. Your lawyer will likely build a case showing that the other motorist did not follow the “Rules of the Road.” This legal strategy can place you in a better position to negotiate a settlement with the other driver's insurance company. As an example, your lawyer might allege that the other driver failed to yield the right-of-way to you while they were merging which led to the motorcycle crash. This allegation could be verified by your investigator's findings at the accident scene that reveals skid marks as to where the vehicles were at the time of the accident. I was Rear-Ended, how can I be at Fault? Your injuries might have been so severe that you were unable to give your account of what happened at the accident scene. The police might have heard only one side of the story as to how the crash occurred. You are correct in assuming that you are likely not at fault for causing the accident if you were rear-ended. A fundamental rule of driving that is often a part of a driver's test ensures that the motorist behind another car, truck, or motorcycle leaves enough room ahead to come to a complete stop to avoid crashing into the vehicle if they make a sudden stop. Typically, rear-end collisions are the fault of the driver behind you who was not operating their vehicle safely. Many motorcycle accidents occur when a motorist is turning left without the right-of-way and hits the oncoming bike. 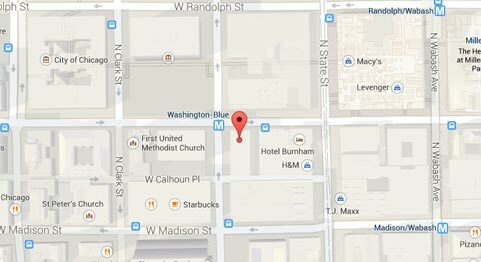 Generally, a left turn collision is the fault of the motorist that is making an illegal left turn. By law, any vehicle, including a motorcycle, which is traveling through an intersection will have the right-of-way. The driver making a left-hand turn must wait until there is enough room to turn safely. In certain accidents, no driver is at fault for causing the accident. Your attorney might be able to build a case on product liability if the accident is due to a malfunctioning auto part, defective tire, or bad component on your bike or the other vehicle. Typically, in these situations, the insurance company will be more likely to settle quickly to minimize a lengthy and expensive trial. Our attorneys recommend that you say nothing to other parties involved in the crash, police officers, insurance claims adjusters, family or friends. The worst thing you can do to your case is to admit your responsibility for the accident. You need to understand that you are not hiding what happened, but merely protecting your rights to seek justice, obtain compensation and heal from your injuries. However, it is your responsibility to exchange your name, address, and information including your driver's license, registration, and insurance coverage. If possible, remain calm and speak politely to everyone, including the police officer. Never engage in a conversation that could produce a negative outcome for your lawsuit. Finally, it is important to request transportation to the local emergency room even if your injuries are minor. You have just undergone a serious crash and are full of adrenaline that might be hiding the extent of your injuries. Only a competent medical team at a hospital can diagnose your condition and identify any problems you might have, including broken bones, damaged internal organs, brain concussion, contusions, lacerations, cuts or other serious injuries. It is important to leave for the hospital as soon as the emergency medical team arrives at the scene and not wait to give a statement to the police to add to the report. Law enforcement will usually meet you in the emergency room and take your statement there if it is possible. Otherwise, you can contact the local police department when you feel better to give your statement. If you were injured or your loved one was killed in an Illinois motorcycle collision involving disputed liability, contact the team at Rosenfeld Injury Lawyers LLC today for a free review of your case done by an experienced attorney. You likely have the right to file a personal injury claim for compensation or a wrongful death lawsuit. Our team of attorneys understands that the accident was likely not your fault but the responsibility of a reckless driver. We can build your case by hiring accident reconstruction experts and investigators who help in collecting the evidence necessary to support your case. We offer a team of seasoned motorcycle accident attorneys who are ready to fight on your behalf. We encourage you to contact our attorneys today to schedule a free, no-obligation case consultation to discuss the merits of your monetary recovery claim. We accept all personal injury cases, wrongful death lawsuits, and serious motorcycle accident injury claims through contingency fee arrangements. This legal contract postpones the payment of legal services until after we have successfully completed your case through a negotiated settlement or jury verdict.